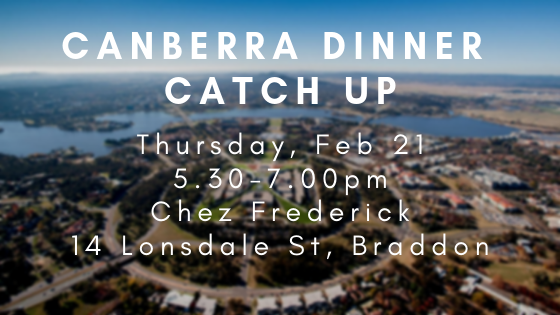 AAAF Secretary Georgia will be in Canberra and would love to see you all for a friendly casual catch up dinner. Family and friends welcome! Be sure to RSVP by the 14th and let me know how many people you’ll be attending with so I can book a table.